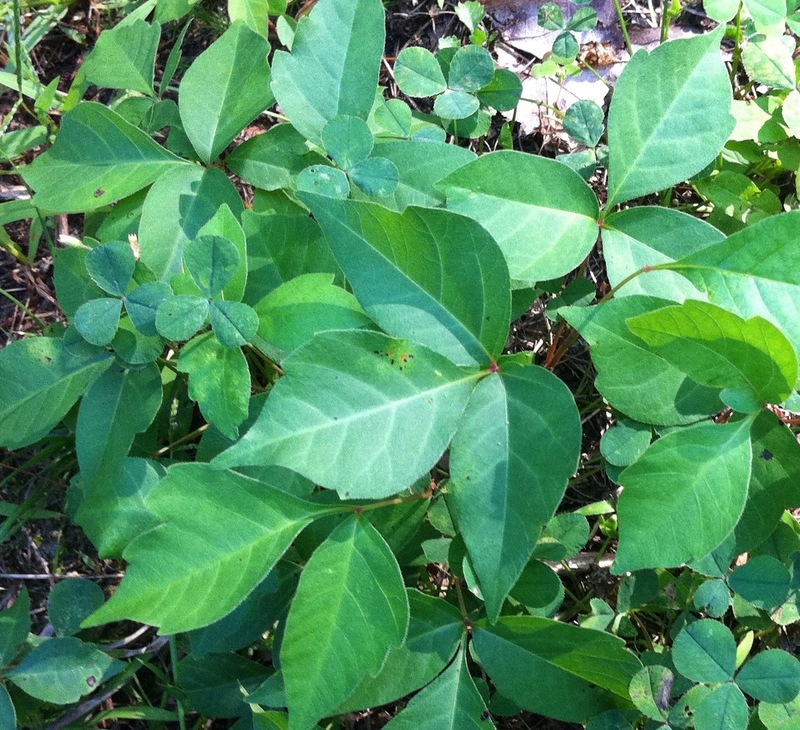 I met this summer several people who have been affected by poison ivy (Toxicodendron radicans). When I was talking with these people, I’ve realized that most of them have no idea what this plant looks like and how they have come into contact with it. Seeing the confusion about this poisonous plant, I decided to go hunting for poison ivy ! So I went to see my friend Philippe Mollé and helped him get rid of this unwanted grass that has literally invaded his land. On the introduction picture you can see the foliage of poison ivy. It is strangely reminiscent of boxelder maple (Acer negundo) leaves.